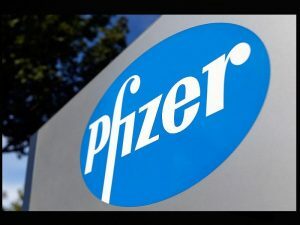 On Monday, President Trump stated that Pfizer and many other pharmaceutical companies should respond to the government and feel embarrassed for raising drug prices. Pfizer has increased its prices on almost 100 drugs. Some of Trump´s comments on Twitter were about how some of the prices of drugs were increased even after he made a statement saying he want to end that practice by large pharmaceuticals. In his 2016 campaign, Trump threatened to pressure the government to force pharmaceutical companies to lower their prices on drugs. However, he chose to propose many other ideas in a 44-page document that has now created a debate as to whether the prices can or will be lowered. Trump expected that the drug industries would have a positive response to his approach, even though he didn´t take any concrete steps. He thought that the pharmaceutical companies would voluntarily decide to drop their prices within two weeks, but that never happened. In contrast, these companies opted to increase the prices on many of their drugs. When that occurred, Trump felt the need to respond to the action taken by the pharmaceuticals. His response about Pfizer and the other pharmaceutical companies for raising the prices for no reason was that they should feel mortified and embarrassed for doing so. He added that the companies were benefiting from the poor as they are incapable of something about it. On July 1, Wells Fargo Securities handed out a report that showed an increase in prices for 41 products and prices reductions for 5 products. In June, Wells Fargo Securities found that drug prices had been lowered in 64 products and increased for 63. Trump is seeking revenge publicly. He is also against the comments made by Harley-Davidson that were publicly made that they will be moving some operations outside the United States. A Pfizer spokesperson indicated that the prices for the majority of their drugs have remained the same. Prices of its 400 medicines and vaccines have been adjusted by approximately 10 percent and that does not reflect what the majority of insurance companies or clients pay for drugs. Trump does not trust the pharmaceutical industry and has expressed his displeasure with them publicly. Trump wants to have more control over the pharmaceutical companies and the only thing this has succeeded in is lowering the prices for many of the larger pharmaceuticals.